Fits Left Hand. 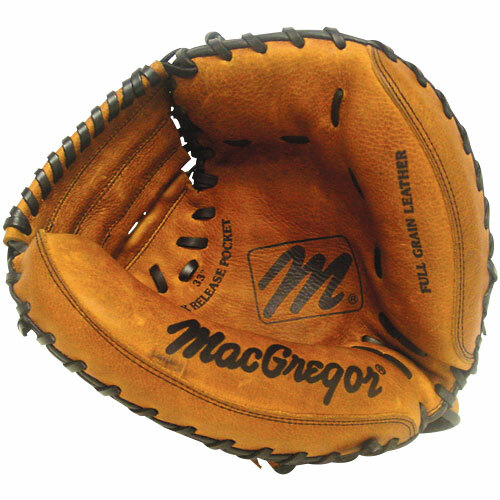 MacGregor’s best and most popular varsity catcher’s mitt. High grade pre-oiled leather construction. Large 33-1/2" pattern with exclusive major league design. Ideal for adult players.